“Your obesity is not an injury or disease for VA purposes”. At best, it’s a half-truth. But, like most half-truths in the clown-car that is the VA Claims Process, it has been cemented as a sort of truth. In layman’s terms….the idea that you cannot get a VA Disability for being obese is, well, a lie. When people tell you that you cannot get VA disability for being obese, they may be doing you a great disservice. It will be “yeoman’s work” and could take the equivalent of 1 Year on Saturn to prove #4 and #5 to the VA. But, a key philosophy here at the Veterans Law Blog is that complaining is a waste of time….so let’s roll up our sleeves and get to work service-connecting obesity. In a phrase, it’s the condition of being grossly fat or overweight. Not “gross” as in disgusting, but gross as in “to a very large degree”. Although there are many ways to diagnose obesity – and the different methods that your doctor uses might shed some light on possible causes and consequences – the most commonly used measure is the BMI or “Body Mass Index” Scale. This method of determining whether a person is overweight or obese is flawed – the BMI number can be misleading if you are a very muscular or physically fit person. Yeah, most current and recently discharged service members are muscular and physically fit people. By a strict BMI measurement, most of them are considered overweight or obese. In fact, I run 30 miles a week, and lift weights 2-3 times a week. Pretty physically fit guy, by any definition. But if I were to go in to the VA, they’d label me as overweight. Hop on my next Facebook Live video and tell me if the guy you see is overweight by a layman’s definition. My point is, how we classify and diagnose obesity is fundamentally flawed. But there is something much more flawed than that – the general population (and the VAs) understand of the causes and consequences of obesity. Coming from the folks that are supposed to be most in tune with the special medical needs of Veterans, I am pretty comfortable saying that the VA is behind the curve-ball when it comes to obesity. There you have it folks, the VA is conceding that obesity is a chronic disease. The problem lies, as a I mentioned a moment ago, is that the general population and the VA still believe that the primary cause of obesity is what you put in your mouth. Eat a lot of potato chips, don’t exercise….you’re going to gain weight. As we have seen with sleep apnea, though, the body is not that simplistic a mechanism. As science studies obesity more and more, we are learning that there are myriad causes for obesity – and while eating the wrong things and rejecting exercise can accelerate (greatly) weight gain, it is likely not the prime cause for a person’s obesity. Here’s the real – medical – truth: obesity is the disease that results from a metabolic and hormonal disease state inside your body. Said in layman’s terms – if you screw with the body’s metabolism and hormones, it’s going to put in motion a chain of events that leads to obesity. And think about that for a minute….particularly Veterans that served in Vietnam and were soaked in Agent Orange….or Veterans that served in the Persian Gulf and were forced to breathe air dense with chemical and particulate matter…. ….what lifestyle is most likely to screw with the body’s metabolism and hormones? Focus on getting a VA Obesity rating, and you may lose. The VA talks a tough game about taking care of the soldier, or how the Veteran’s Hell-th Administration is best-suited to be on the cutting edge of the special medical needs of Veterans. So, the first thing I want you to do…if you are trying to service-connect your obesity, or a condition that is caused by your military related obesity or weight gain, print a copy of page 10 of the VA’s CLINICAL PRACTICE GUIDELINE FOR SCREENING AND MANAGEMENT OF OVERWEIGHT AND OBESITY – where it says “Obesity is a chronic disease” – and NEVER let the VA forget that they have already recognized it as a disease for benefits purposes. That won’t be enough though. 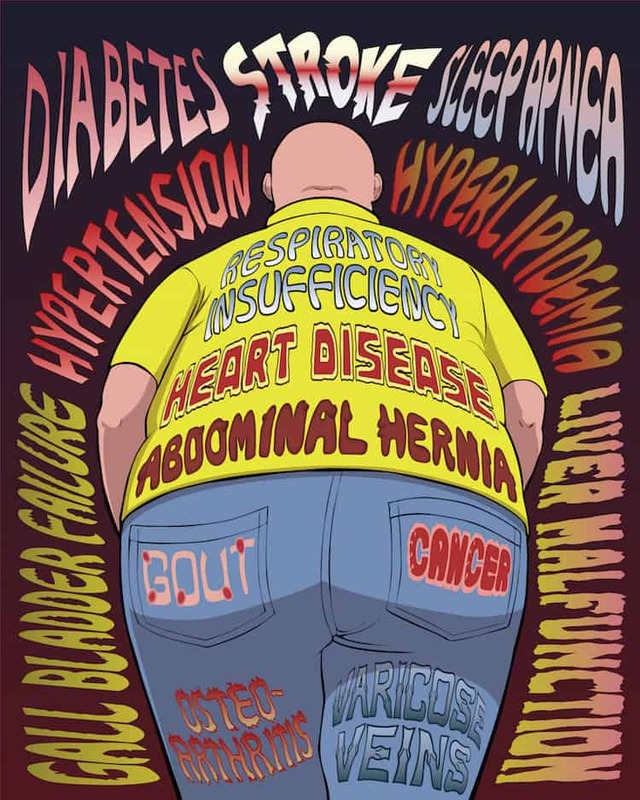 There are 2 “leading” cases in the body of Veterans Law that present nuanced views on obesity as a service connectable disease. The first is Eldridge v. Shinseki, CAVC Cause # 11-0308 (2012). This case is widely held to be the “rule” that obesity is not a service-connectable condition. Here’s what happened in Eldridge – which, notably, is prior to the AMAs 2013 recognition of obesity as a disability, and prior to the VA’s 2015 concession that it is a “chronic disease”. The Veteran was exposed to Agent Orange (it appears in the RVN from 1972-1974). Shortly after his discharge from service, the VA diagnosed him with what is called “exogenous obesity” with a doctor commenting that “there is no known internal organic cause for his obesity.” In other words, it wasn’t because he drank a lot of beer and never worked out. Something outside his body caused it. He filed a VA obesity claim, and the BVA eventually denied Mr. Eldridge, on the grounds that the VA Rating schedule did not list obesity as a VA disability. Specifically, the Board wrote that “[o]besity is not a disorder subject to service connection and the evidence does not show that obesity is a manifestation of a separately diagnosed disability.” Now, the VA’s attorneys – who we’ve written about before on this blog – argued that the Veterans Court “may not review the schedule of ratings for disabilities” adopted by the Secretary. The Court was persuaded by the VA’s attorneys and agreed that the BVA had a plausible basis for denying service connection. Though widely thought to stand for the holding that “you can’t service connect obesity” – or that a VA obesity claim must always fail – I would argue that the decision is a little more nuanced: I would argue that Eldridge stands for the proposition that the Court is not able to review the VA’s decision to exclude obesity from its rating schedule. This is a WHOLLY different conclusion than the one it is commonly offered for. But it illustrates the point – if you focus on getting the obesity to on the VA rating schedules, you may be fighting a losing battle. With 78% of Veterans suffering from obesity, at an average annual cost of $370 per Veteran, and the VA is not going to easily roll over – the consequence is that they will have to pay out $6.1 billion dollars every year just for the estimated medical care of obesity. But Focus on Proving your VA Obesity Impairs Your Earning Capacity, and might just have a different outcome. Which brings me to the second case. Hunt v. Shinseki, No. 08-3243, 2010 U.S. App. Vet. Claims LEXIS 956, at *20-21 (Vet. App. May 25, 2010). The Veteran in this case was arguing that his PTSD aggravated his weight situation, such that it caused obesity. He filed his VA obesity claim, which the Regional Office denied, asserting that “obesity was not a disability for which VA benefits could be awarded.” The Veteran the VA Obesity denial to the BVA, which continued the denial of service connection for obesity, stating the same trope that ‘obesity alone is not considered a disability for which service connection may be granted’. Now, to be clear – the Veterans Court affirmed the Board’s denial of the VA obesity claim….. but not for the reason that you think. 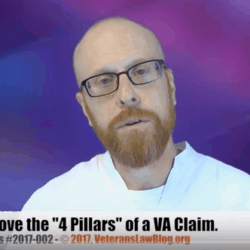 “[A]pplicable VA regulations use the term “disability” to refer to the average impairment in earning capacity resulting from diseases or injuries encountered as a result of or incident to military service. See Allen v. Brown, 7 Vet. App. 439, 448 (1995); Hunt v. Derwinski, 1 Vet.App. 292, 296 (1991); 38 C.F.R. § 4.1 (2009). The question is thus whether Mr. Hunt’s obesity is a disability–i.e., a condition causing impairment in earning capacity. In this case, there is no such evidence. Did you catch what happened? These 3 sentences flipped the whole VA obesity argument on its head. If we focus on VA Disability ratings for Obesity….we may lose. The Court quietly and subtly pointed Veterans back to the basic premise of what VA benefits are all about: not specific diseases, or symptoms, or conditions. They are about an impairment to your ability to earn an income because of injuries or diseases incident to military service. Remember….Court decisions are one of the best tools that we have. They are more than just statements of law. They give us a roadmap to CHANGING and FIXING the law. So, Hunt doesn’t really stand for anything, legally speaking, but it at least signals that it may not matter that the VA doesn’t list obesity on their schedule of rate-able medical conditions. If you can provide some degree of proof that your obesity was “incident to military service” and in some way has impaired your earning capacity, then you may have just started to push open the door to service connection of obesity. We don’t yet know what evidence is sufficient to show that obesity has in some way impaired your earning capacity. There are many ways to approach this, but it’s going to take time to build the body of law. We don’t know if this means that you will be entitled to a schedular rating by analogy or whether the VA will require extra-schedular evaluation of obesity for ratings purposes. We don’t know if the Veteran’s Court would endorse the reasoning in Hunt – a non-precedential case – if presented with distinguishing facts. We can’t even guess what might happen at the Federal Circuit (if the VA appealed a Veteran’s Court decision endorsing in a more precedential fashion the reasoning in Hunt). We do know that “obesity alone” is going to be tough (but not impossible) to service connect. I have seen many, many cases where obesity is a bridge claim, and is service connected under an aggravation or secondary theory merely to get to a rateable condition. (This alone suggests that it IS a condition which can be service-connected). We also know that if you have a stand-alone obesity claim – your obesity is directly related to military service and not secondary to another service-connected condition or not aggravated by military service – you are most certainly going to need some undetermined type of proof that your obesity is limiting your earning capacity. This will be a trial and error situation – submit the evidence, appeal the NODs (DO NOT SEEK VARO RECONSIDERATION) to the BVA, and appeal BVA Obesity denials to the Court of Appeals for Veterans Claims – if the CAVC shuts you down with a negative decision, learn from what they write about your evidence, and file a claim to reopen. As the old proverb says….”When spider webs unite, they can tie up a lion”. * The VA Office of General Counsel recently published a “Precedential Legal Opinion” – which binds the BVA and VBA – that obesity is not a disease. To be clear, the opinion was written by the “Acting” General Counsel” and reads like an opinion that was crammed through by the bureaucrats, and does not rest on solid reasoning. That is important – the OGC’s Precedential Opinions are not binding on the Courts,though, and they are only as strong as their ability to persuade. In my opinion, this one fails. But that has a very practical impact on you that file obesity claims – you are 100% likely to get denied service-connection for obesity until the Courts interpret the US Code to determine if Congress intended to allow service-connection for obesity. So get as much evidence in the file as you can that shows (medically) how your obesity started in or was caused by your service or another condition in service, get in as much evidence as you can showing how it impacts your earning capacity, and when you get a BVA decision denying you service connection for obesity….reach out to lawyers that may be interested in helping you with this sort of appeal to the Veterans Court.